Hermano* Esteban is close to 70 years old, he grew up in poverty as an only child. He remembers not having enough to eat and days when a handful of pito – ground, toasted grains, served as his only meal. He values work and took jobs wherever he could: harvesting crops, sewing pants– for 1 BS per pair, he completing 5 pairs in a day and with his weekly earnings of 25BS, had more than enough to eat. Today, he laments, that would not even feed him for a day. Esteban was also a musician, playing the sousaphone in bands in Oruro and Pa Laz, earning enough money to buy a truck and becoming a truck driver for years. Eventually he settled down to farm and now has 30 hectares (74 acres) of land – half of which is in production and the other half is grazing land for his llamas. He is s head of the llama and quinoa association, APROGUILGAC, and is seeking Fair Trade certification for his group. 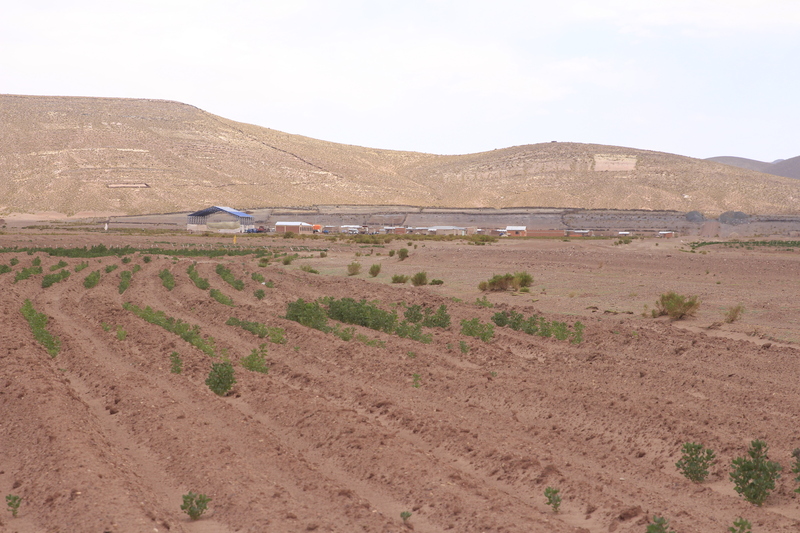 Quinoa fields – only some plants are germinating due to extreme drought conditions. Esteban is an example of the new quinoa rich, he owns 2 SUVs and takes us out to a BarBQ dinner of coal roasted llama and sausage with a side of rice with cheese, salad and boiled potatoes. He has five sons. His youngest just graduated high school and is college bound, his second oldest on is already in college studying economics. 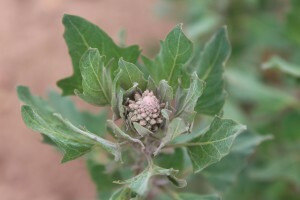 During the quinoa boom the entire family was working together to grow quinoa, now their participation is more sporadic. Esteban says it costs him 750Bs ($107) to plant, grow, harvest and process a quintal of certified organic quinoa which quinoa exporters are paying 400Bs ($57) for. (Note: The Bolivian currency is Bolivianos (Bs) the exchange rate is 7Bs = $1). I’m not sure if the Fair Trade price is much higher. When I left the country in 2015, 800Bs ($114) was a dignified price for a quintal of quinoa, leaving the farmer with a 6% profit margin. Now it’s a 53% loss! 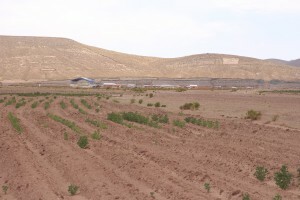 Costs of quinoa production includes paid labor for harvesting, purchased fertilizers and pest control. Fertilizer in the form of llama dung is still sold for 550Bs ($79) a truckload with 1.5 truckloads being needed per hectare, plus natural pest control methods which cost 120Bs ($17) per hectare just for moth control of one variety which eats plant leaves. The other pest variety which eats the seeds comes in March and also needs paid organic controls. We are traveling with Tito Mendoza the Bolivian head of the Fair Trade NGO, CLAC, which works with small farmers across Latin America.. 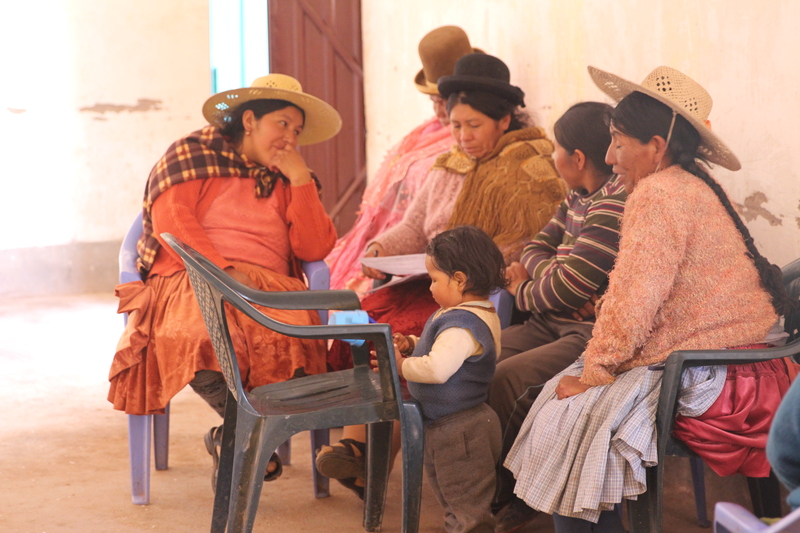 He was contacted by Hermano Esteban to introduce Fair Trade to his group and see how they can benefit from the certification. We have a 5am meeting to travel 2 hours in Esteban’s fully equipped Jeep (electric windows, GPS, leather seats) to the remote community of Belle Vista in Corona in Uyuni, on the Potosi border – to meet with a group of farmers who may or may not be there since the meeting was actually supposed to be yesterday and most are now in the campo celebrating graduations and other traditional celebrations. The women were there and we had a good meeting! We fear that especially the women will not be there since they are cooking and preparing for the parties. Never-the-less, I pack up my raisins and crushed brazil nuts anyway. I’m planning on teaching women to make quinoa salad using “pisara” (cooked quinoa) vinegar, oil and raw chopped vegetables – with the raisins and nuts mixed in – a nice combination. Raisins and crushed brazil nuts are not regularly available in the rural countryside and are a bit expensive, they will add an extra special touch to the recipe. 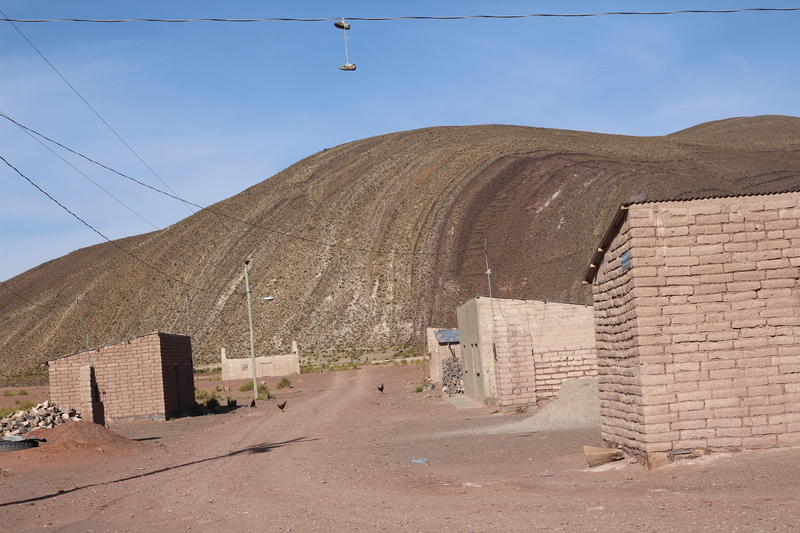 * Note: it is customary to addresses each other as “hermano” “hermana” in the quinoa region – bother and sister. This is not religious, rather it is inclusive and shows that each other is equal and of a single family.